Democratic State Senator José Rodríguez says while he understands the concerns of some Big Bend-area residents opposed to the planned Trans-Pecos Pipeline, he supports the plan to bring natural gas from the Permian Basin to Mexico. Before a town hall meeting with constituents on Thursday, Rodríguez told Marfa Public Radio that he’s kept his eyes on the plan, but doesn’t see a reason to oppose it. Energy Transfer, the Dallas-based company behind the pipeline, said in July it had received permission to conduct land surveys across most of the pipeline’s planned 143-mile route, though the company wouldn’t say exactly how many landowners have given permission. There have been allegations that company surveyors trespassed on ranchers’ land, though the company chalked those incidents up to accidents and confusion over old county property records. Sen. Rodríguez said he supports the plan because Presidio might be able to tap into the line and have access to natural gas for the first time, though that would require a local operator to build out pipe from the main line into the city. 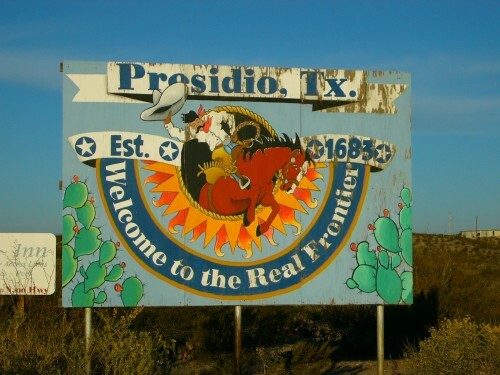 Rodríguez’s West Texas district stops short of Brewster County and Alpine, the town at the center of much local opposition. Officials in Presidio are welcoming the pipeline, saying it’s helped encourage a new chile roasting plant to plan a relocation there. In July, Rodríguez did outline some of his constituents’ concerns about the pipeline in a letter to federal regulators. Opponents have said the pipeline and a similar Energy Transfer project in the works near the Texas border town of San Elizario should be regulated under federal, rather than state, jurisdiction. But the senator indicated he doesn’t share those concerns. “Given that the feds don’t think there’s any problem with it, it’s gotten the permit from the Railroad Commission, unless there is some very serious reason why, other than just general environmental concerns, then I think I would have to support it,” he said. San Elizario Mayor Maya Sanchez and officials in El Paso County have spoken out against that other West Texas Energy Transfer project, the Comanche Trail Pipeline. Rodriguez says he’s still trying to learn more about how close to schools and other “sensitive areas” the pipeline would travel. The senator described the Comanche Trail Pipeline as “up in the air,” though the El Paso Times reported this month that some landowners near San Elizario are already in negotiations or have agreed to sell their land to Energy Transfer for that pipeline. This entry was posted in KRTS News and tagged Comanche Trail Pipeline, Energy Transfer, Trans Pecos Pipeline. Bookmark the permalink.